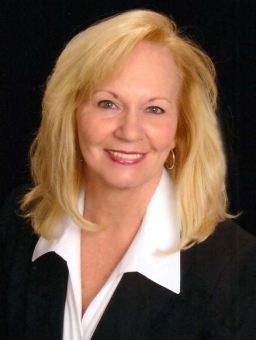 Gerry Jones has been in the business of selling real estate for 22 years and gaining all that experience right here in the area with CENTURY 21 Mike Bowman, Inc.
Gerry has lived and worked in the area her entire life and is familiar with its changes. Gerry is a hard worker and consistently a top-producing agent. Gerry also brings 11 years of experience as a Sales Supervisor and Director of Marketing to her Real Estate career. Gerry likes meeting people and enjoys many long-term friendships with customers and clients she has worked with throughout the years. It’s a very special part of her business. In her free time Gerry enjoys being with her son Spencer, and their Jack Russell Terrier, Sophie. Her 17-year-old son participates in many sports, so you’ll see Gerry in the stands watching her favorite player at all the events! I want to let you know how fortunate you are to have Gerry Jones representing you. Through the entire process of buying our home she listened to what we were looking for and helped us find it. She offered input, without being pushy. She made herself available for every question that we had and when she couldn’t answer a question she made sure to find an answer for us. She did all of this with a great amount of professionalism and a smile! Gerry’s fantastic service made our home buying experience much less stressful. I will be recommending her to anyone that is buying or selling a home.